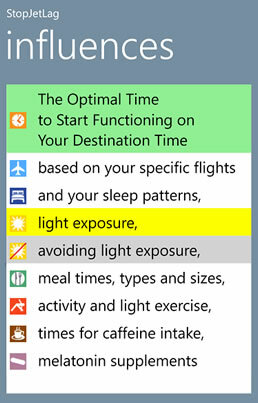 Your Stop Jet Lag Plan is designed to help you eliminate the debilitating effects of jet lag, safely and effectively. The instructions are prepared specifically for you using your exact flight schedule. For best results, follow the instructions carefully and completely. Even if you can’t adhere to the plan in its entirety, the more you can implement, the further your jet lag will be reduced.